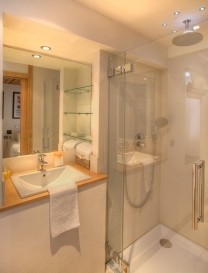 Renovated to an extremely high standard with all modern luxuries catered for. 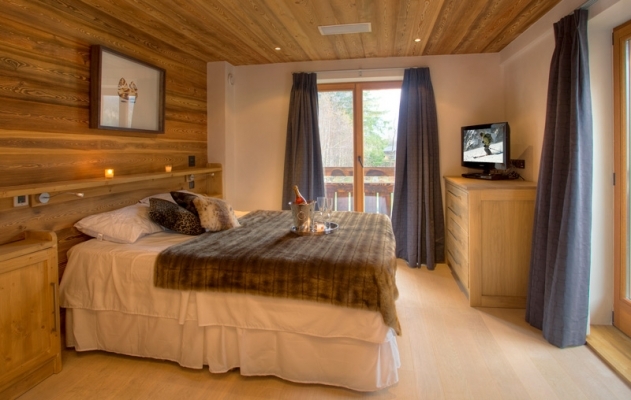 The chalet offers six versatile bedrooms, four of which can be doubles or twins, all with en-suite bathrooms. The facilities are first class with a top of the range smart TV in the lounge, featuring satellite television & DVD player with surround sound for those cosy evenings in front of the log fire. 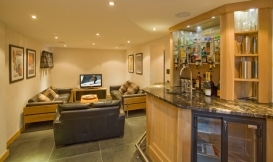 The kitchen has all modern conveniences including an integrated coffee machine, induction hob and two ovens. 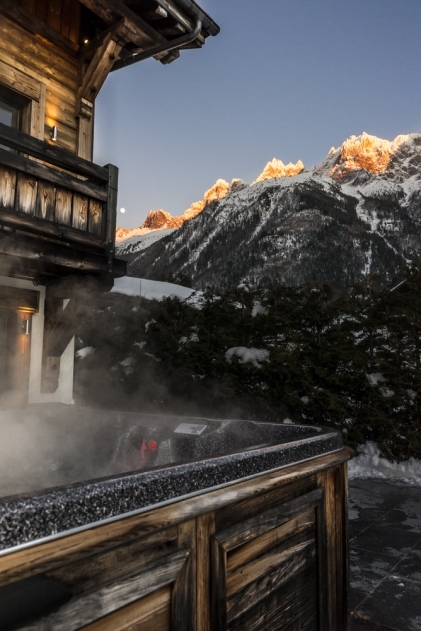 Step out from the lounge to the terrace and enjoy the huge Jacuzzi with incredible Mont Blanc views. 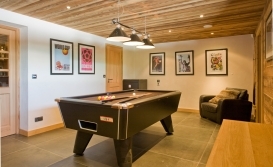 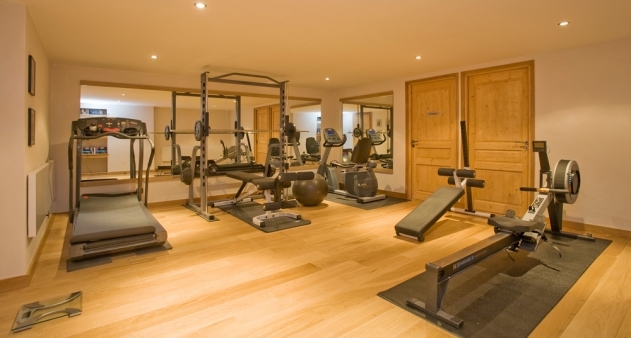 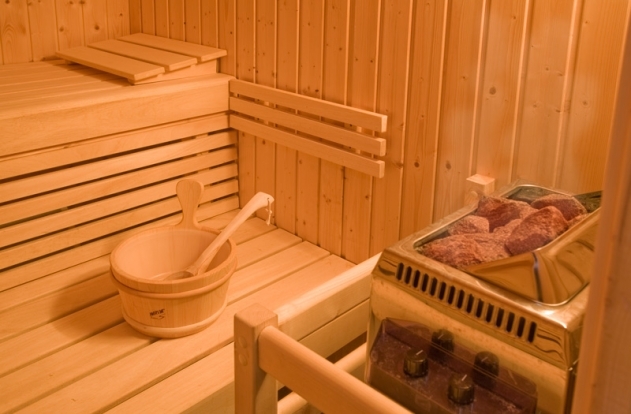 Downstairs there is a sauna, a television/games room with playstation and the chalets very own bar, in the next room is a billiard table and further on you will find a fully equipped gym room and massage room. 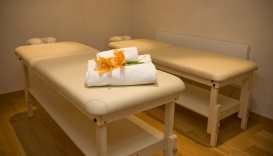 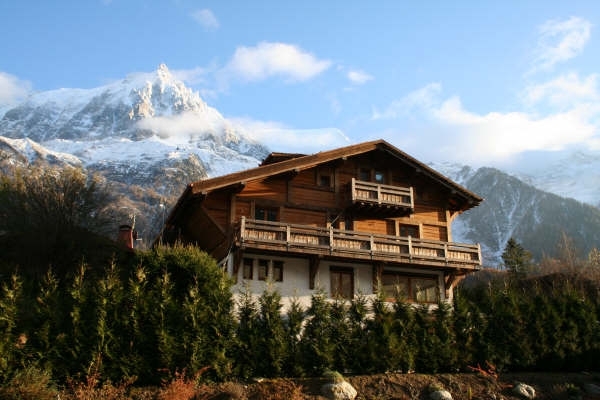 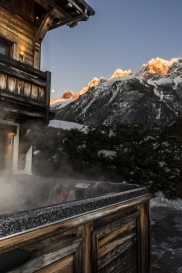 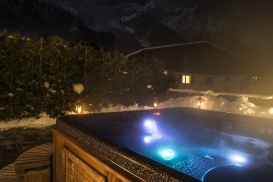 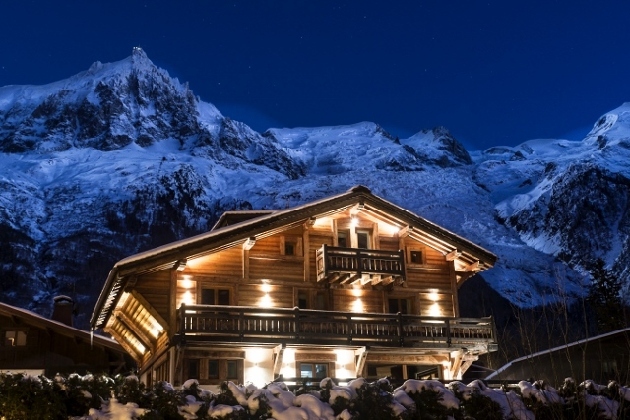 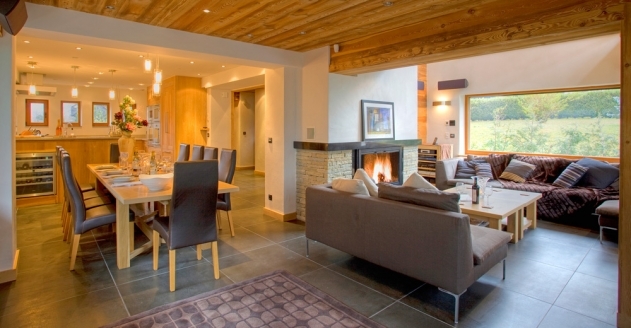 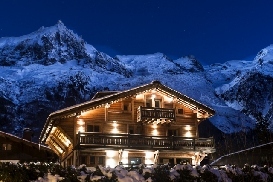 The chalet is located just a short drive from Chamonix centre, 5 minutes. Prices from 4,500€ per week-18,000€ per week self- catered. 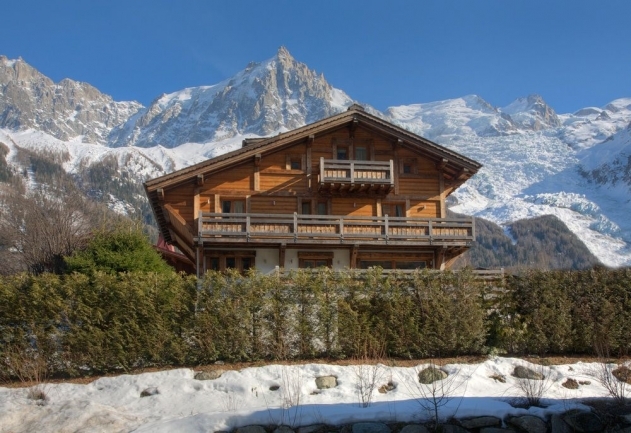 A Beautiful contemporary chalet with panoramic views of the Chamonix valley and the Mont Blanc range. 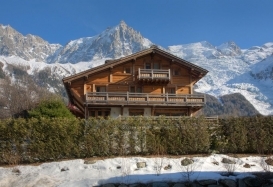 Gazing through a telescope from the terrace its possible to see Alpinists summiting the Mont Blanc!